First take – this links together multiple Best Buy initiatives, starting in 2011. Look at the history of Best Buy. First a dabble with the now departed Wellcore in 2011 – clearly the time was not right – the oldest baby boomer turned 72 in 2018, but at 65 in 2010, consumers could not comprehend the utility of a wearable fall detector. But Best Buy executives saw the opportunity and decided to learn more. More significant in 2011, Best Buy became a founding consortium member in a ‘living lab’ Charter House in Rochester, Minnesota (along with Mayo Clinic). "We believe technology has the potential to foster healthy, productive lives by enabling easier access to information and medical care," says Kurt Hulander, then senior director of health platforms at Best Buy. Best Buy revs up interest in senior caregiving in 2017. Then came a few years of observation, not to mention struggling store business results (2014) in the face of rising online competition. Best BUy had already seen (and revamped) its service opportunity with Geek Squad in 2012, partnering with AARP. Helping older people with technology in their homes – could that have revealed a sizable customer base of opportunity for more services? By 2017, Best Buy had begun a limited offering of a contracted service called "Assured Living" that uses remote monitoring and other technologies to help older adults, then rolled it out broadly later that year, now it's offered in 21 cities across the US. In 2018, it began hinting loudly about the opportunity in health technologies and the elderly. Today, Best Buy is increasingly a services company. Besides Assured Living advisors and with its 20,000 Geek Squad workers, Best Buy is now offering an in-home technology advisor service (note the example in that linked article about a visit to the Villages in Florida). With all of that successful investment in people and services, what else could Best Buy need? How about a large call center that is well-trained in speaking with and providing technology advice to older people, offering responses to users of phones and personal emergency response pendents? So the acquisition of GreatCall can be viewed in this larger context -- a steady progression of filling in gaps in an increasingly robust menu of offerings to serve the 50 million people aged 65+ in the US and their family members. What is Best Buy getting for its $800 million? Quite a bit, and despite its $40 billion in annual revenue, likely what it does not have. 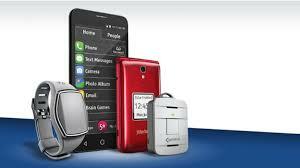 Best Buy has long partnered with GreatCall, offering its products in its stores. Besides 900,000 service subscribers, Best Buy acquires an employee base familiar with the older adult market (one of the few $300 million firms that can make that claim). In addition, Best Buy acquires a series of small-dollar apps and services that can provide substantial value to older adults – including services like Med Coach, Check In Calls, Urgent Care, and Wellness Calls. Does all of this mean (as much media has nonsensically declared), that Best Buy is moving into the healthcare market? No more than it was in it previously. GreatCall was not in the healthcare market – it was in the market of serving older adults with engagement, connection, and safety technologies. To date, none except headline writers have viewed these capabilities as 'healthcare' or 'digital health', or GreatCall’s price would have been more like Amazon’s $1 billion purchase of PillPack – paying more but getting less. Permalink Submitted by Laurie Orlov on Thu, 08/16/2018 - 14:32. Excellent strategic buy by Best Buy. PE was forced to sell because they couldn't grow this business but Best Buy can leverage their footprint to provide service to a demographic which is more offline and less tech savvy. Amazon proofing. Permalink Submitted by Laurie Orlov on Fri, 08/17/2018 - 07:10. This is a good analysis by Laurie Orlov - personally, I still see these products woefully lacking in design and not appealing to most Boomers. I’d venture that most of the GreatCall customer base is not Boomers. That said, BestBuy is in an interesting strategic place to make their infrastructure and service expertise assets instead of liabilities. Steve Pisenti Gregg Sloan - this is another great example of non-traditional partnerships disrupting the senior care market. Permalink Submitted by Laurie Orlov on Fri, 08/17/2018 - 08:33. Solid history and detailed analysis by our friend Laurie Orlov. Nice work Laurie! Permalink Submitted by Laurie Orlov on Fri, 08/17/2018 - 10:38. I have often recommended Great Call to residents here, partly for the hardware but mostly because their customer service is so good. Among the best I have seen in any field, let alone phone companies. What you say about this sort of service being crucial in bringing tech into senior living makes total sense. Permalink Submitted by Laurie Orlov on Fri, 08/17/2018 - 11:52. Experienced in helping business explore market viability for new products/services and establishing revenue streams. This is good news, I hope to see GreatCall products available at Best Buy locations in Canada.